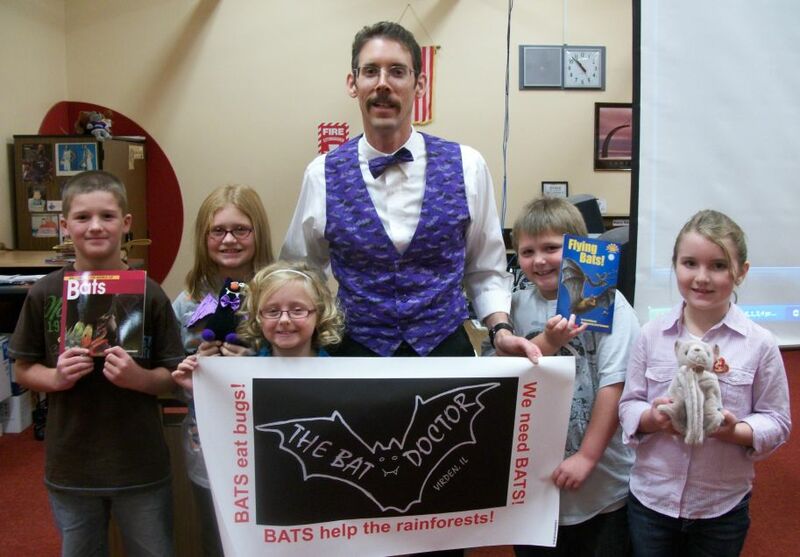 What educators (and others) have to say about about THE BAT DOCTOR's BAT PRESENTATIONS! Thank you so much for your wonderful and educational presentation on bats. The students in my class came back and wrote on bats. By looking at their writing I could tell they learned a lot. So once again, thank you for such a wonderful presentation on bats. 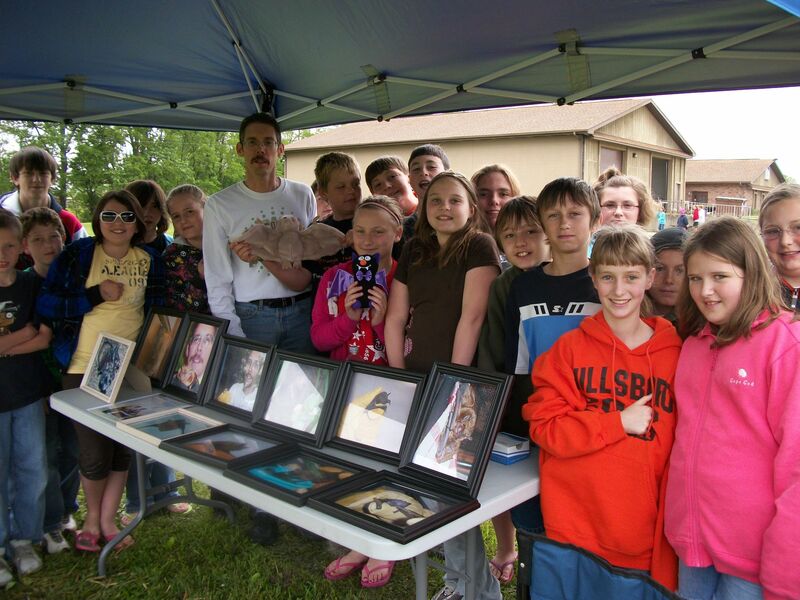 Thank you so much for the Bat Presentation! The children thought you were great. Thanks again. I really appreciate you sharing your expertise with us. 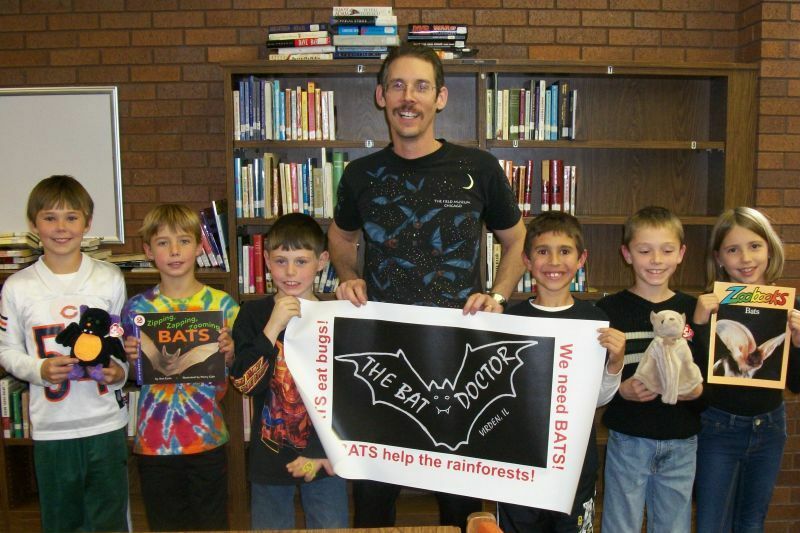 Thank you so much for coming to our class and sharing your knowledge on bats. The children and I really enjoyed it and learned many new things. You are an excellent speaker and we all loved the slides. Again, thank you so much for taking the time to come to our class. We all appreciated it very much! Thank you for presenting such a fascinating program for our Eco Meet. Your carefully chosen words were certainly at an appropriate level for the students. Your facts were awesome! 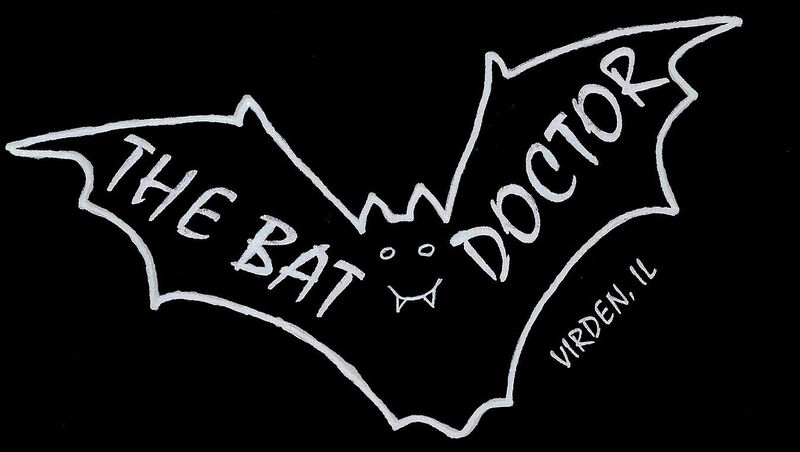 I think everyone who heard your program will remember some "bat facts" and hopefully share a concern for conservation of the "furry little winged ones". I enjoyed meeting you. I wish you great success in the forthcoming years. I just wanted to thank you so much for taking the time to visit our school. Your slides were wonderful and the level of information was perfect for the K through 3rd graders that attended. I hope to see you again next year! Thank you for coming to our school. 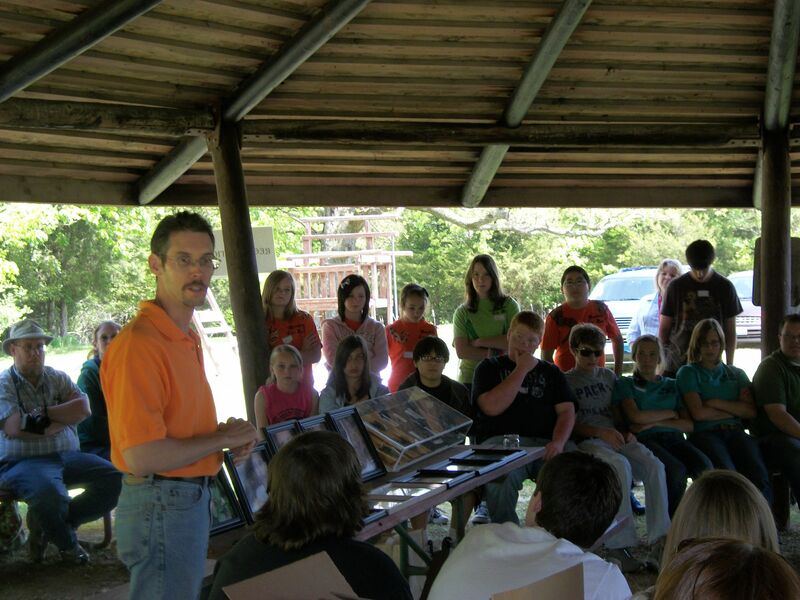 The students learned a lot about bats. They really liked the slide presentation! Thank you for your great presentation! We enjoyed the assembly a great deal. It was entertaining and very informative. Thank you very much for your informative presentation at our school. The children all thought it was great! 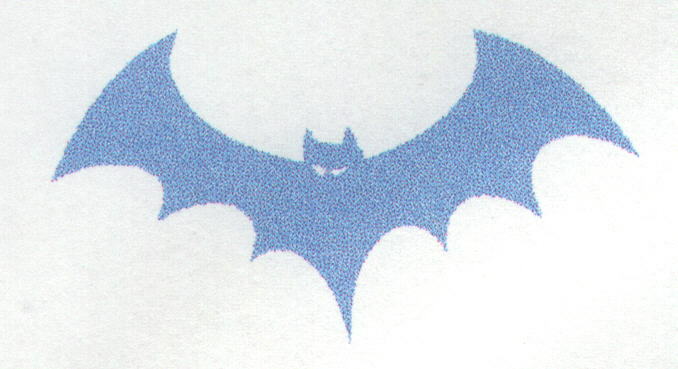 Also, Thank you for the BAT rings and BAT pamphlets. Your kindness is greatly appreciated! Thank you for coming to our school to teach us about bats. We really liked the bat pictures. They were cool! Thank you for the BAT rings and the BAT book. That was a great presentation. I got compliments afterwards. I had never given bats much consideration, and now have a definite appreciation for them. Thanks for taking the time to come talk to our club. Thank you again for coming in and speaking with our Kindergarten classes. 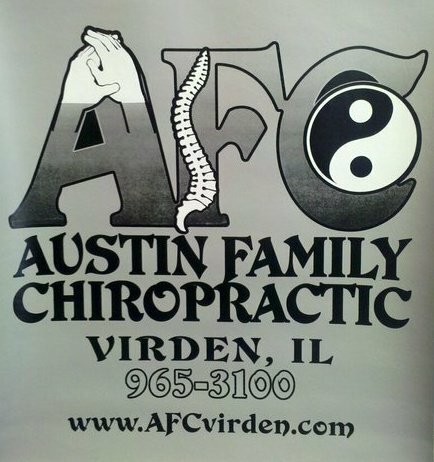 I had many parents say how much their child enjoyed the learning experience. You did a very nice job presenting to the children. Your presentation was very interesting. We thoroughly enjoyed it and took away from it a lot of good information about both bats and bat houses. Thanks for taking the time to come talk to our group. 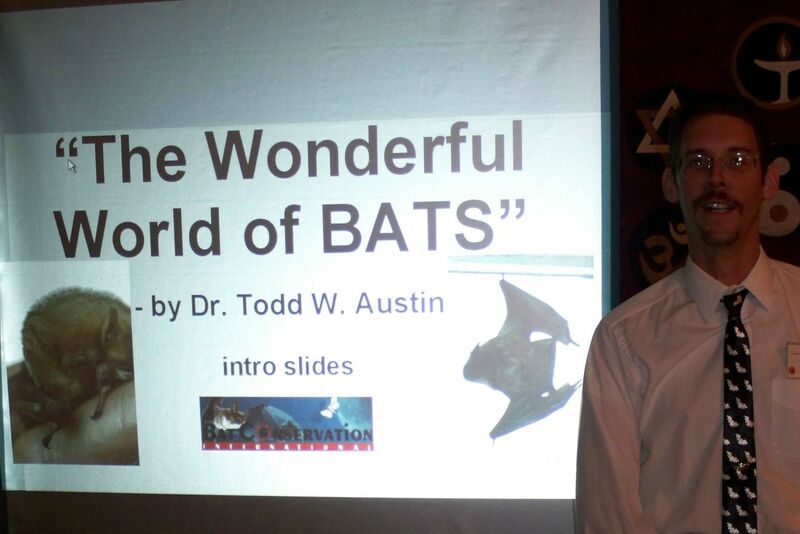 Dr. Todd Austin presented an educational and informative program on bats to local gardeners. His thought-provoking presentation initiated a discussion on the balance of the environment and how we must respect all creations. 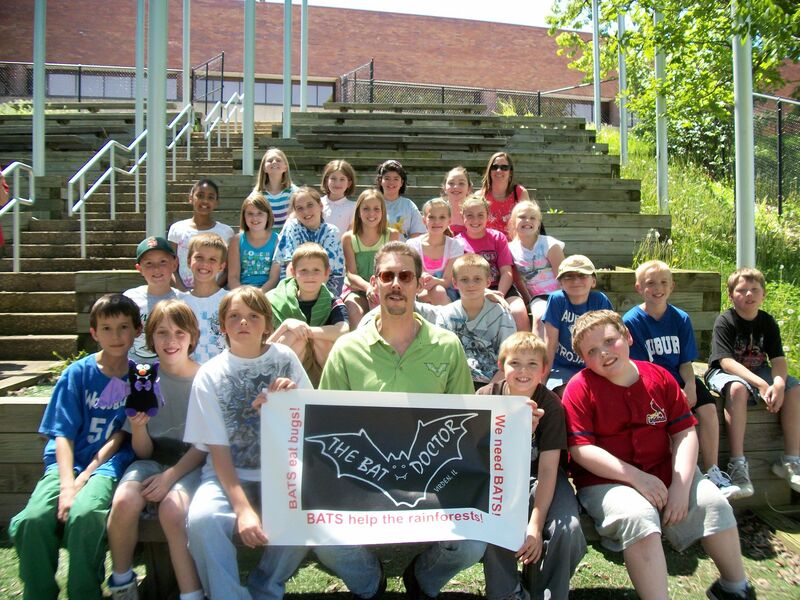 Todd shared many amazing facts on bats that have been misunderstood for years. Thanks Todd! 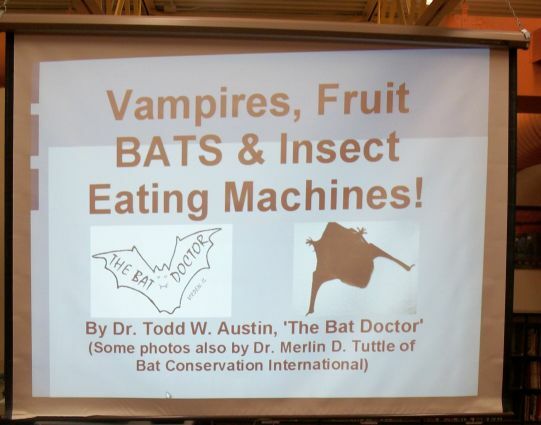 Todd, You're bat presentation was excellent. Thank you very much! Thanks again for your presentation. 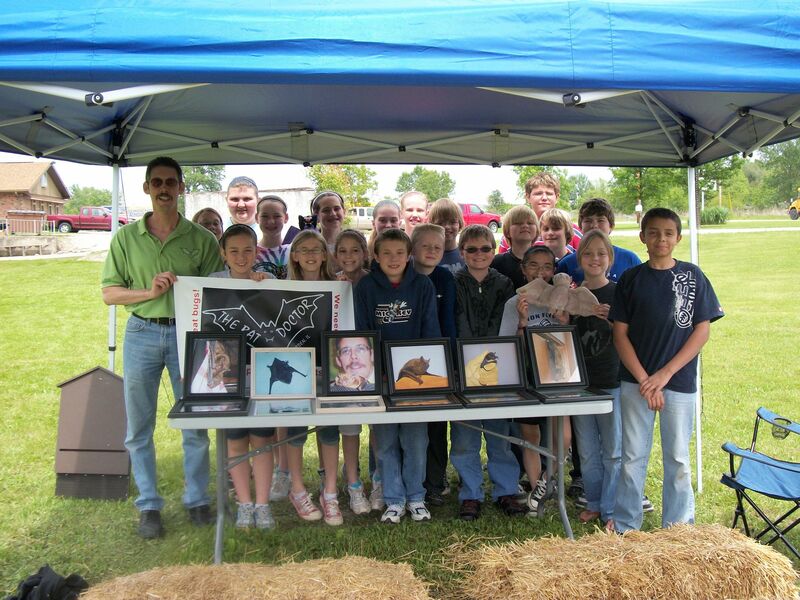 The students enjoyed it and learned a great deal about an animal right in their own neighborhoods...an animal that is often misunderstood, yet actually quite helpful. Thanks for dispelling any rumors and preconceived notions, especially around Halloween!! You are appreciated!! Thanks Again. My son really enjoyed your presentation. Great Job Todd!